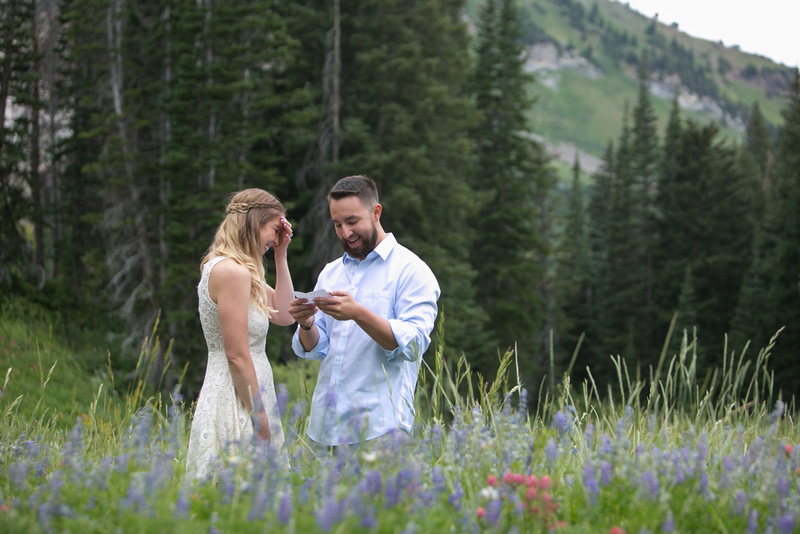 Brittany & Ryan are so easy-breezy and fun. 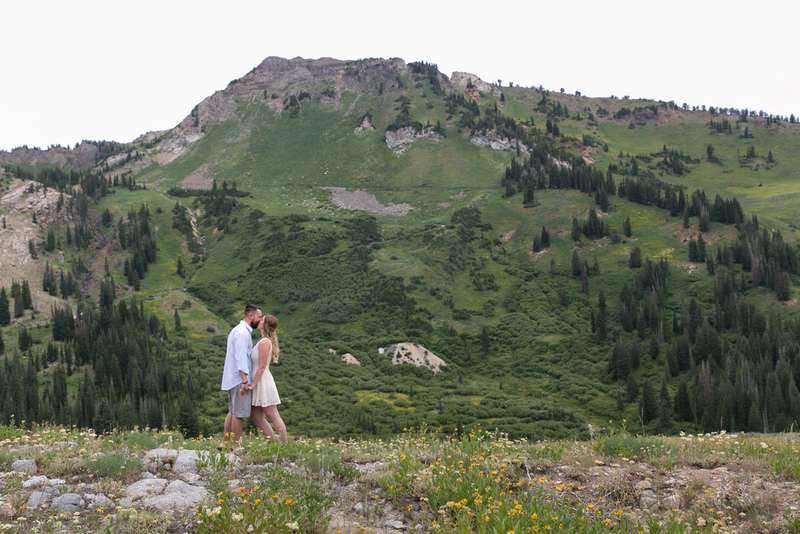 We had a great time driving to Albion Basin together, and exploring Albion Basin near Alta Ski Resort. 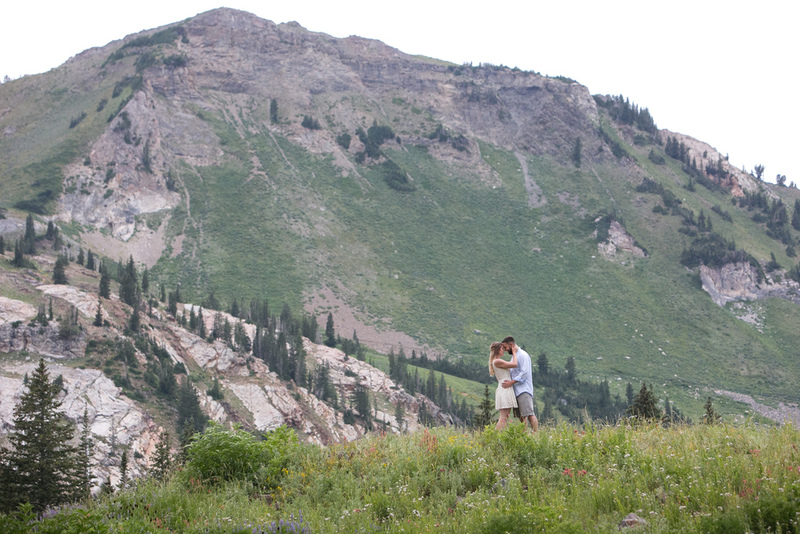 It was peak wildflower season (July). Ryan did the cutest thing (sorry Ryan). He brought jokes, written on a piece of paper, which he kept in his pocket. 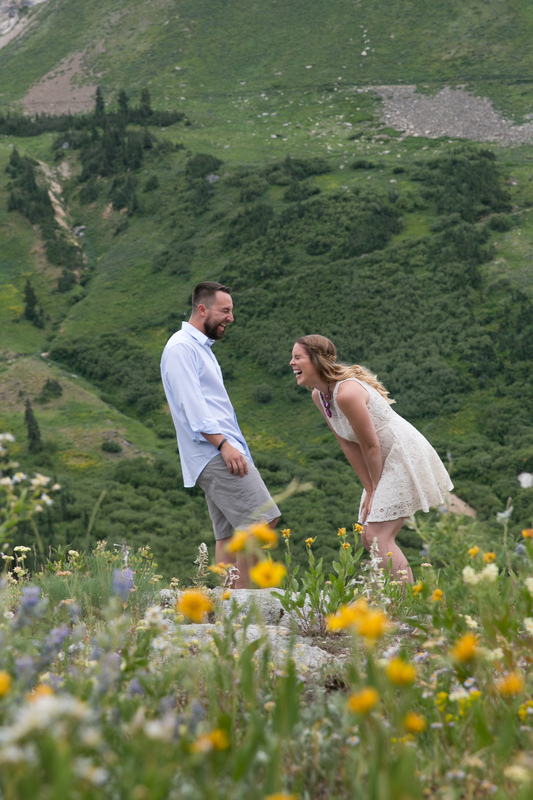 Whenever Brittany and Ryan thought they needed a little laugh for photos, he pulled it out, told a joke, and they just laughed and laughed! What a genius thing, to keep their session fun and lively. 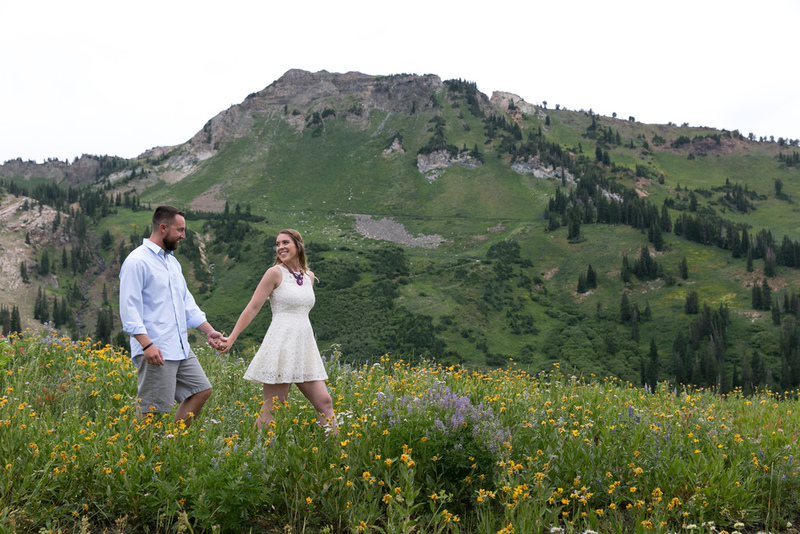 Can't wait for their Park City Mountain Resort wedding in June, with guests coming from all over the world, who will be riding the Alpine Slide down from the ceremony, it is sure to be a blast.